Barry Bergdoll is the former (2007–2013) Philip Johnson Chief Curator of Architecture and Design at The Museum of Modern Art, New York (MoMA) where he continues to curate exhibitions. He is a professor of modern architectural history at Columbia University and holds the Meyer Shapiro Chair in the Department of Art History and Archaeology. Bergdoll holds a B.A. from Columbia University, an M.A. from King’s College, Cambridge, and a Ph.D. from Columbia. His broad interests center on modern architectural history with a particular emphasis on France and Germany since 1800. Bergdoll has organized, curated, and consulted on many landmark exhibitions of 19th- and 20th-century architecture, including “Home Delivery: Fabricating the Modern Dwelling” at MoMA (2008); “Lost Vanguard: Soviet Modernist Architecture, 1922–32” at MoMA (2007); “Mies in Berlin” at MoMA (2001), with Terence Riley; “Breuer in Minnesota” at the Minneapolis Institute of Arts (2002); “Les Vaudoyer: Une Dynastie d’Architectes” at the Musée D’Orsay, Paris (1991); and “Ste. Geneviève/Pantheon; Symbol of Revolutions,” at the Canadian Centre for Architecture, Montreal (1989). 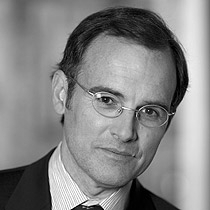 He is the author or editor of numerous publications, including Mies in Berlin, with Terence Riley (winner of the 2002 Philip Johnson Award of the Society of Architectural Historians); Karl Friedrich Schinkel: An Architecture for Prussia (1994), winner of the AIA Book Award in 1995; Léon Vaudoyer: Historicism in the Age of Industry (1994); and European Architecture 1750–1890 (2000), in the Oxford History of Art series. He edited Fragments: Architecture and the Unfinished with Werner Oechslin (2006). Bergdoll served as president of the Society of Architectural Historians from 2006 to 2008.